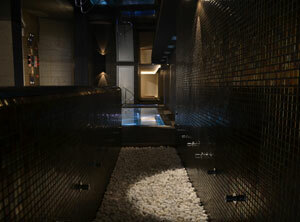 The Spa Hotel Acevi Val D'Aran offers a unique space in the valley. 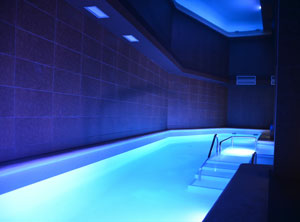 A spa where you can relax and enjoy the benefits of water. 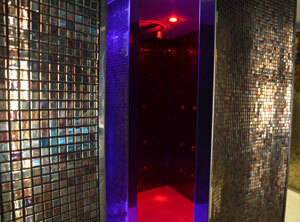 Discover the spectacular wellness facilities and evades the body and mind of stress and worries of everyday life. 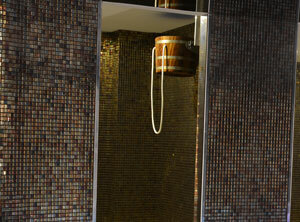 In our room you will find flotarium new concept of health, wellness and beauty. It is a pool of about 40cm deep seawater containing a large concetración thereby creating a similar density Dead Sea. To immerse yourself in it effortlessly fleets and lose track of body weight. It is designed to isolate the mind and body of sensory stimuli that constantly bombard you: gravity is removed the light. The absence of these external stimuli removes 90% of the signals sent to the brain nervous system, immediately generating a deep physical, nervous and mental relaxation state. The ice wall of the cab produces a cold environment. 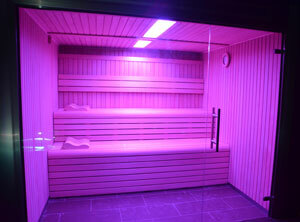 The idea is to use it after a sauna or steam bath by action of contrast. 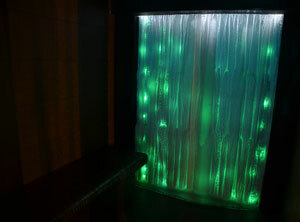 This wall of ice has a special backlighting system that generates a specific color or climate change itself: an effect known as 'color therapy'. Steam baths have been used throughout history not only as a way to relax, but also as a therapy to improve many diseases and stimulate the body. Today, technological advances have allowed improvements that have enhanced many of those benefits and added new ones. 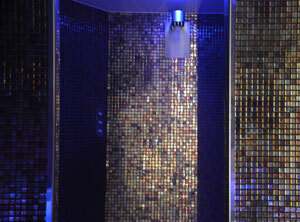 The sequential thermal shower consists of a combination of soft rain water spray produced by a central and distributed several sprinklers with the walls massage effect. 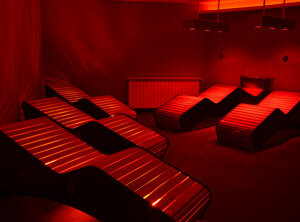 In this way a gentle massage combined with thermal changes on our body is achieved by obtaining a great relaxation. The basic muscle action areas with multiple combinations are: Twin Massage, femoral massage, buttocks, back massage, cervical massage. The results in terms of relaxation, nerve and muscle strain are spectacular when used with some regularity. Shower Bithermal fogging is a gentle spray of numerous small drops of hot water to form a range that surrounds our body getting a nice feeling. Alternating with changes automatically from a mild cold water on our body heat exchange is achieved by obtaining a great relaxation. 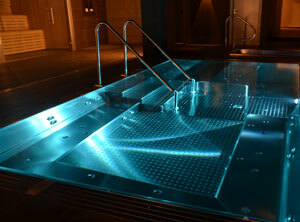 Our spa has a heated water pool can enjoy relaxation and even enjoy a hydromassage bench. 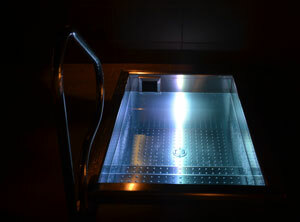 Our jacuzzi stainless steel designed to enjoy a whirlpool session either in your perimeter bank and submerged loungers. 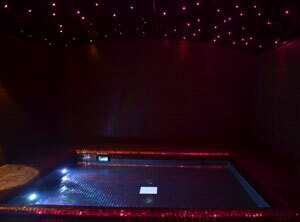 Relax your muscles and disdfruta a pleasure for your senses. This lets you indulge sink to the waist and notice a thermal contrast that produces vasoconstriction and enhances circulation. 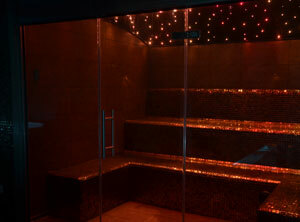 It provides nervous strain, muscle relaxation and stimulation of the circulatory system. This room has ergonomic chairs equipped with an infrared system that produce a large effect on the body, improving the immune system, promotes the production of white blood cells, increases blood circulation and produces a muscular relaxation that fights its own effect contractures heat. This treatment has become one of the essential points of any thermal circuit. And if he wants to revive the circulation in your legs, this method can become one of its greatest allies. This is a corridor that has a system of lateral water jets bithermal (cold water and hot water alternates, and several pressures) and boulders on the ground that activates circulation. With as simple as walking on those little pebbles while receiving the effect of water in the legs and feet, we will prevent, improve and alleviate circulatory disorders step. In addition, circulation is activated on the soles of the feet, while stimulate energy points that control the rest of the body and remove the feeling of heaviness. 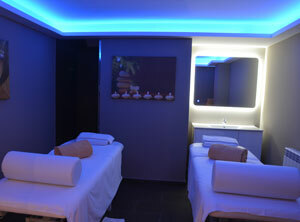 Enjoy all kinds of massages and treatments in our rooms. We have a single room and another for a couples massage. General timetable from Monday to Sunday from 4:00 p.m. to 9:00 p.m. Private use (only mornings) requires prior reservation.